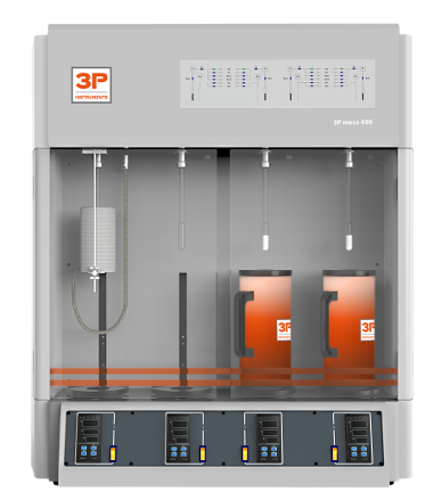 The 3P meso 400 is a compact sorption analyzer with four completely independent analysis stations for the determination of BET surface area, total pore volume and pore size distributions of meso- and macroporous materials. Each analysis station can be programmed individually and started at any given time. This is achieved by four independent dosing volumes and without any time loss. Next to Nitrogen, it is possible to employ any non-corrosive gas as an adsorbate such as CO2, Ar, Kr, H2, O2, CO, NH3 or CH4. 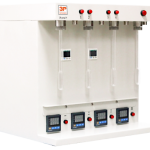 All four analysis stations can also be used as in-situ degassing stations for sample preparation.